MajesticPhantom wrote: Madame, that is gorgeous! 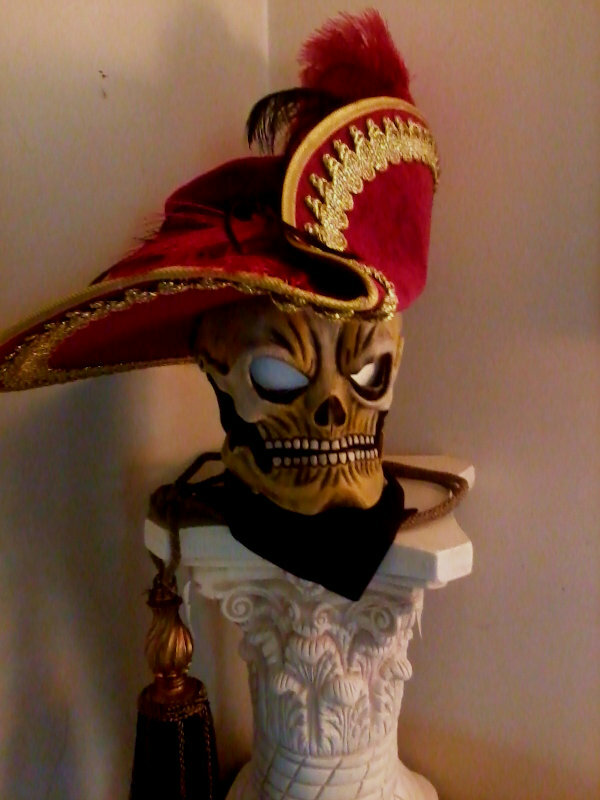 It weighs a ton and I sound like Mardi Gras when walking around, but I'm very pleased with how it's turned out. Can't wait to take it into action! Agreed. It looks great. Madame Giry is going to be looking lovely at the Opera House. Waouh! Guys these news pics are amazing! The giry coat is just wonderful! And the final choice... which solution should I choose? I think that I'll keep the lace around the collar but this one is too big. I have to find a new one, smaller. Please tell me what you think, I don't know what to choose ! Melly wrote: Waouh! Guys these news pics are amazing! My vote actually goes to this one. I'm not sure why. It's not really like any other stage versions I've seen, except maybe what Ana Marina/Tabitha Webb wore as understudies in West End, or the metallic original one Rebecca Caine wore in Toronto. But it has the "torn edges" Maria Bjørnson was so fond of, and it kinda reminds me of angel wings. Which is fitting both for the Mausoleum scene and the whole theme of Phantom. So yeah, that one gets my vote. But I do love 'em all. Your replica is truly fantastic! Hahaha! A real Phantom costume, then. I'm SO sorry to have missed you in Vegas, I really looked forward to see your costume and to MEET you. But you'll have the costume for another event. Maybe Broadway's 25th anniversary? I have decided my first Phantom piece should be the Mandarin robe, how could I not? Just look at my s/n lol, and I just happen to have a great attachment to that scene and costume piece. I would like to have one by the time the 25th anniversary rolls around in late Jan of next year; however I am very...sewing challenged...and would most likely have to commission someone to do it for me, any suggestions? StrangerThanUDreamt wrote: I have decided my first Phantom piece should be the Mandarin robe, how could I not? Just look at my s/n lol, and I just happen to have a great attachment to that scene and costume piece. I would like to have one by the time the 25th anniversary rolls around in late Jan of next year; however I am very...sewing challenged...and would most likely have to commission someone to do it for me, any suggestions? Thanks! Going to get in contact with one or the other shortly I hope; I havent seen this piece done before, so I hope I havent gone above what is possible. StrangerThanUDreamt wrote: Thanks! Going to get in contact with one or the other shortly I hope; I havent seen this piece done before, so I hope I havent gone above what is possible. Hey STUD, I've been actually planning on doing that Mandarin Robe costume for a while, even have a few bits and pieces for it. (I was even going to wear it for Bway 25th!) 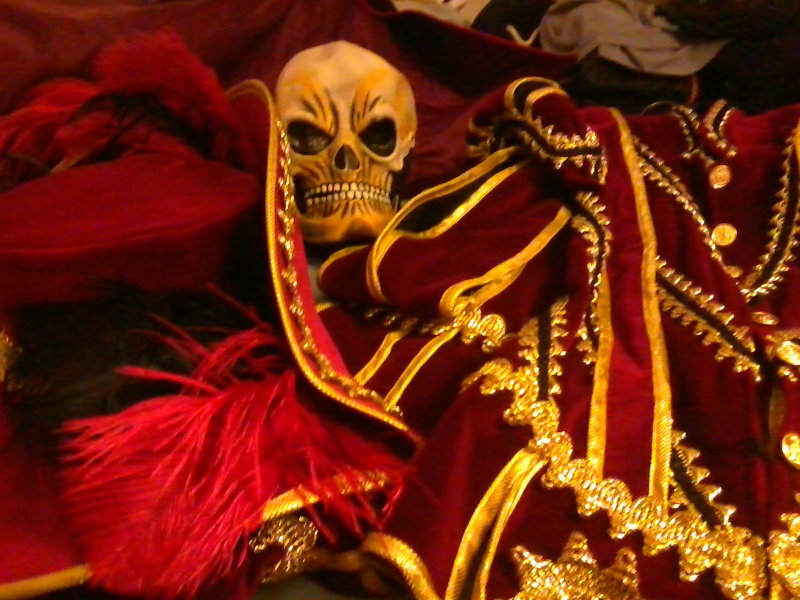 It just had to take a backseat until I got my Giry costume finished. I would have worn this to Vegas but for very last minute circumstances that unfortunately resulted in me having to cancel all my plans basically the night before I was to fly out. Ah well. 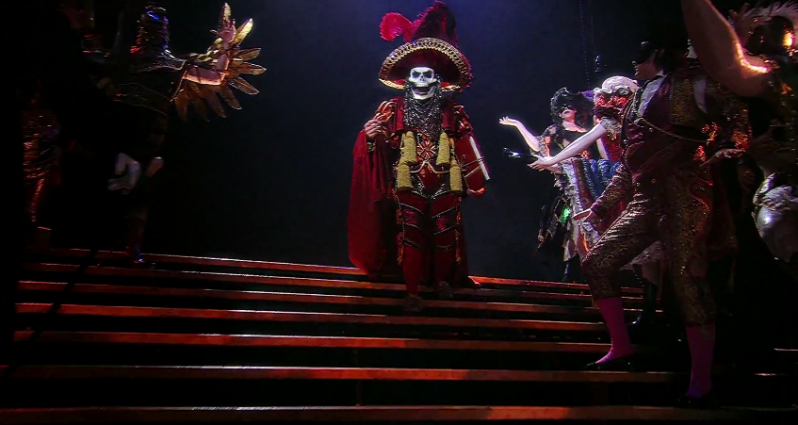 Kind of a silly question, but I'm curious...Which Red Death skull mask do you all prefer and why: the traditional large one (I call it the "puppet-style" head) that's always been worn, or the one Ramin's Phantom wore in the 25th Anniversary RAH performance? Or maybe both? I've been on an opera kick lately and stumbled upon a very nice production of Les Contes d'Hoffmann starring Placido Domingo and Agnes Baltsa. I was watching bits and pieces in the middle thinking "wow, this thing looks great. Love those costumes and sets." Later I started it from the top and found that the costume designer was Maria Bjornson! I just had to share it with everyone because, let's face it, she's genius, and with what's been going on with the new UK tour... I figured she needed some love. Sadly the subs aren't in English. I mean really, who screws with that kind of work? Happily, this opera is available on DVD. Thanks for posting about the Convent Garden Tales of Hoffmann production, Salle. The costumes she designed are really quite glorious and I'm glad there's at least one more videorecording that preserves her work. Following up on that, I found a wonderful article about Maria from Offscreen Magazine that was posted in February, 2012. It gives some insight into her childhood and upbringing, as well as her temperament and passion for her work. There are, of course, mentions of Phantom and its impact on her life, and her legacy. The Phantom of the Opera was the ultimate playground for Maria Björnson. The highly detailed and elaborate world of 19th century Paris let her unique talents flourish. She was obsessed with beauty. Looking at her drawings, we can see how her meticulously researched and detailed costumes produce a striking overall effect as pieces of art in their own right. The design of the Masquerade scene in Phantom introduces a huge variety of ingeniously designed costumes that represent endless hours of work, a perfect sense of fashion and a clever use of theatre magic. 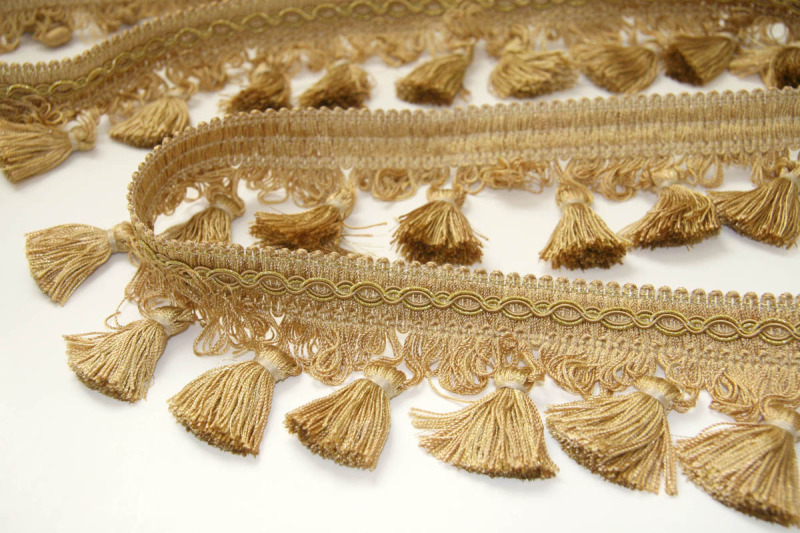 And as another followup to the outpouring of Maria love on the Costume thread today, here's a treat for you Phantom costume researchers. 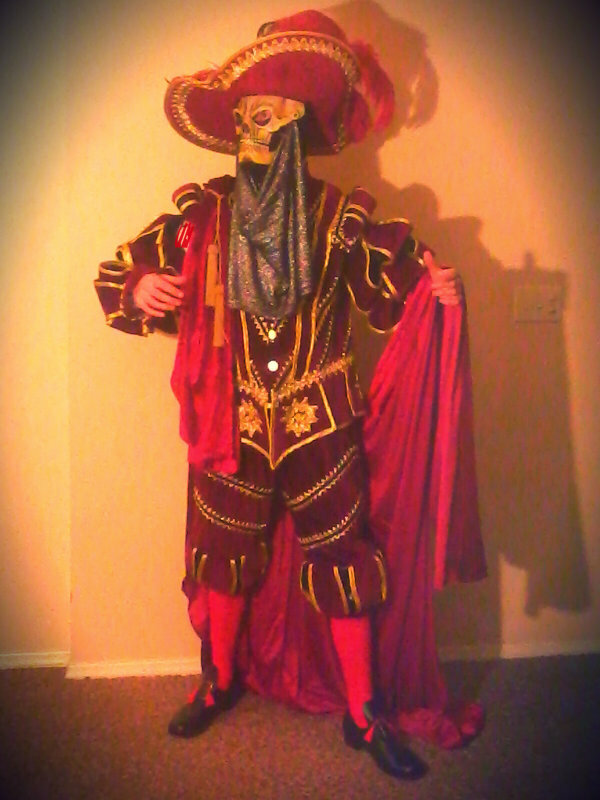 On the webpage of Judith Evans, a professional costume maker for theatre and film based in New York City, I stumbled across this photo montage of what is described as an 'Ensemble' costume for Broadway's Phantom. 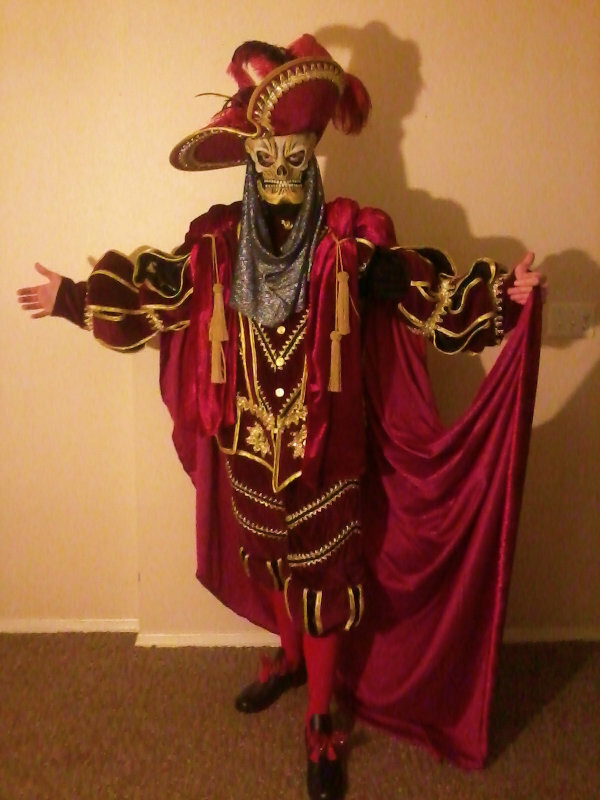 It is credited: Ensemble dress from Phantom of the Opera, Broadway. Original design: Maria Bjornson. Associate Designer, Sam Fleming styled this remake. 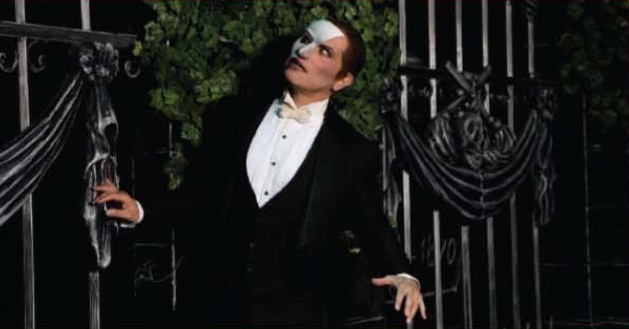 So, Phantom costume junkies, does anyone know when this costume appears in the show? Seems like it might be a Sitzprobe dress? ^Thanks so much ( to both of you) , I will say that my initial obsession with the show began when I was younger and pouring over Maria's designs in the George Perry book, I had heard the score and yes thought it was beautiful, but I standby the thought that the majority of this shows success lies with Maria's designs. It's the Mme. 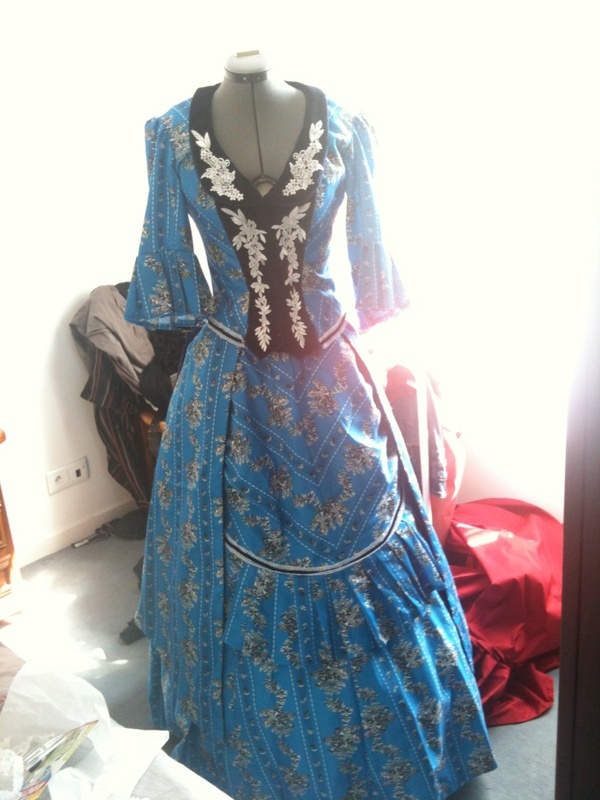 Firmin Hannibal Attendants dress. I love this design. But I don't think I've seen the dress executed in so lush lavender and golden tones before. Beautiful! I've always wanted to see Red Death done with his hat flipped to the side, rather than the front, I just think it looks a bit more...bad@$$, still adding feathers but it's nearly done. Looks great so far, STUD! I'm sure you'll be the talk of the town when you step out in that costume. STUD, it's so-so-so cool! Looking forward to pictures of the costume "in action". Thanks guys! As of now the jaw doesn't want to move as much as I had hoped; so I may have to do with just one set mouth expression; and I still have to add the trim to the cape, the costume is suppose to make it's debut this Saturday at midnight! Good stuff STUD! Congrats on the costume. Random question: do you have a larger pic of your avatar? 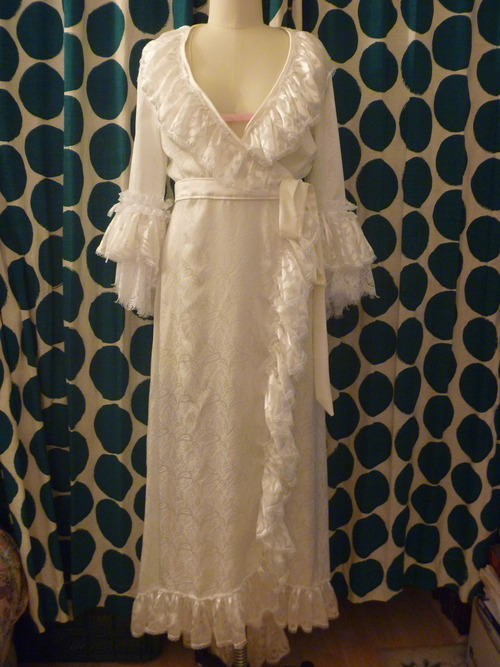 This was a Dressing Gown commission for ML6. Finished it over the hurricane.